Thank you everyone for your Support! We raised $1090 for the Rescue – so we made our goal and even went over!! I cannot thank you all enough for donating and our practitioners for donating their time to this amazing Rescue! We will be contacting you via phone to notify you as well. Please note that not all items can be redeemed out of town, we will try to accommodate our out of town winners as best as we can. If you have any questions, please feel free to give us a call! Thank you all from the bottom of our hearts!! Reminder: This information has not been evaluated by the Food and Drug Administration. This information is not intended to diagnose, treat, cure, or prevent any disease, ailment or condition. Please seek a certified professional for medical/medicinal advice. Aimee came into work the other day with a new recipe that she loves! It is based on a tea that was discontinued but couldn’t live without. She took creating it into her own hands and came up with this gem. This tea is perfect for a rainy night in, curling up to watch “The British Baking Show” for an hour (or 5). She has simplified the recipe so you can make as much of it as you want. If you want a “part” to mean 1 Cup or 1 spoonful then follow suit! You can add honey, cream or a dash of lemonade to elevate the drink. Want to try this later? Pin it! Want more recipes, guides and to be the first to know about our events? 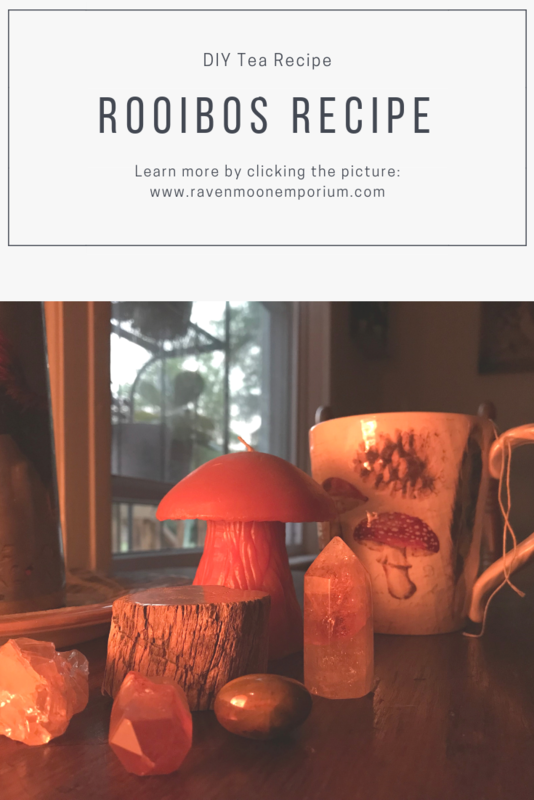 Put some Magick in your Inbox! Show Mom some love this Mother’s Day! Mother’s day is just around the corner! We have everything you could possibly want for mom! And this year – ask about FREE Gift wrapping for your Mother’s day gift! We can help you put together a gift that is just as special as your mom! An authentic blend of Indian spices! Perfect for the mom who loves trying new things! Perfect for the mom who loves to show off her french culinary skills! The perfect tea to help mom relax at the end of the day! Have a mom on the go? Tea bags are perfect! For the New Age Mom! A great kit with many uses! Small and portable so mom can use it anywhere! We have a huge select of crystals! Come pick out mom’s favorites! With a wide selection of scents and accessories, you are sure to find something mom will love! One of the highest quality incenses in the world! The Hata family has been at the forefront of Incense making since the 1800’s! If mom likes incense, she will love Shoyeido! This year, give mom the gift that will spark her inspiration and creativity!! New Items for February 2018! It is February already and we have some beautiful new stones for you this month! This beautiful stone was discovered in 1791 in the Alps! It’s soft gentle color is calming and encourages self-realization. It also fortifies a sense of tradition and helps us acclimate to new communities. It promotes moderation and alleviates negative emotions! It encourages and positivity and dispels negative energy in the auric body! Aqua Aura Crystal is produced through a special process in which the surface of the crystal quartz is bonded with vaporized, finely powdered pure gold. This results in a stunning brilliant blue with iridescent rainbow flashes. This color-enhanced crystal is effective in stimulating the throat chakra, enhancing your ability to communicate inner truth, and to express inner emotions in a positive way. We have extremely limited quantities of these clusters! Price: Varies – available in-store only! We just some new items in – and boy are we excited!! Beautiful pieces from Uruguay! They measure between 1.5 to 4.5 inches! Stalactites are formed at the roof of a cave when moisture and water starts to drip. When the drop falls, it leaves behind the thinnest ring of calcite. Each subsequent drop that forms and falls deposits another ring. Over time, these rings build to create a stunning column of minerals. These amethyst stalactite crystal slices are buds from columns of amethyst stalactite that took millions of years to develop deep within a cave of mother earth! Available in-store only $18 each! Beautiful fully polished Scolecite Palm Stones measure between 2 to 2.75 inches. Scolecite works well with the crown and third eye chakra. An excellent stone for meditation or healing! Available in-store only $25 each! These are truly some of the most beautiful pieces I have ever seen! Each piece ranges from 2 to 6 lbs in size! They are stunning to look at and will make a beautiful piece for either decoration, a meditation room or crystal grid! Each piece is unique! Available in-store only, prices range from $50 TO $80! Red amethyst is amethyst with Hematite and Iron inclusions. These pieces of natural raw amethyst vary in size and in color. Red amethyst can be helpful for those under psychic attack or who want to protect themselves during any type of astral and spiritual work! Two sizes available: (Large)1.5″ and up $10 and (Medium) 1.5″ and less $6. Available in-store only! 10 Herbs Every Cook Should Know! Dried herbs are an easy and convenient way to add flavor to all of your favorite dishes! Having them on hand allows you to explore all types of cooking on the fly! Always store herbs in a cool dry place away from heat or direct sunlight, in order to get the best shelf life from your herbs. If you use jars, be sure they are air tight! Most herbs can be used for up to one year when stored properly before losing flavor and potency. To convert from fresh to dried herbs in any recipe, use 1 tsp of dried for every Tbsp of fresh. Adding your herbs to your oil before adding it your food is a good way to re-hydrate your herbs before using them. Since dried herbs have best flavor when re-hydrated, add them when you start cooking or at least 15-20 minutes before you finish. They best when added to a recipe during the cooking process rather than sprinkling them on top. Dried dill is useful where fresh isn’t available, to give a Scandinavian touch to fish, egg dishes and potatoes (don’t confuse with dill seeds, which are used in pickles). Oregano is the one herb that is generally considered better dried than fresh. It’s indispensable in Italian and Mexican cooking, especially with tomatoes and cheese. Its cousin marjoram is often overlooked, but offers a sweeter, less assertive flavour, useful for red meats! It has a bold overpowering flavor, so it’s best paired with strong flavored dishes. A couple of bay leaves will give mellow sweetness to braises, stews, stocks and soups. A bay leaf also makes a pleasing change when flavoring custards and rice puddings – infuse in heated milk, or stir in with the rice. Dried thyme is a multi-purpose herb to pop into a soup or casserole when a sprig of fresh is not available. Also great with chicken, and a staple of Black Bean Soup! This is a a versatile spice that can be used in both sweet and savory dishes. Some initial studies claim it helps to reduce blood glucose and bad cholesterol, but more research is needed. What isn’t needed is an excuse to add cinnamon to your breakfast oats, hot milk, cakes and pies, or meat marinades. Rubbed Sage is better than powdered. It lacks the zing of fresh, but it complements poultry, pork and butternut squash and stuffings. Rosemary adds a pine fragrance to slow-cooked dishes (particularly Italian-style soups, stews, braises and all lamb dishes). Use sparingly, and chop if you don’t want spiky leaves in your finished dish. This is salt’s twin brother and always adds a kick to a dish. It is probably the most popular spice in the world. Best to buy the whole peppercorns and a grinder, but buying ground is fine too. For a sharper bite, try white pepper. The ginger root is a cornerstone of Asian cooking, imparting a slightly sweet, slightly hot flavor. Goes well will garlic in many Thai, Indian, and Chinese dishes. Ginger may help stop nausea and may also relieve heartburn and bloating. Try a ginger and honey tea when you’re under the weather. There’s nothing like basil in a tomato sauce or tomato salad. It’s easy to grow basil as a potted plant on a windowsill. Keeping a supply of dried basil at home, ensures you always have this amazing spice on hand! Do not leave your best friend out of your holiday baking this year! Here are 2 tested and bark-approved recipes for gingerbread dog cookies! We found these recipes on two wonderful websites that are listed below! Preheat the oven to 325 degrees. Lightly grease a cookie sheet. In a large bowl, mix together the flour, ginger, and cinnamon. Mix in the oil, molasses, and water; let sit for 15 minutes. On a lightly floured surface, roll out the dough 1/4-inch thick. Cut out the cookies with bone-shaped cookie cutters. Transfer to the cookie sheet. Bake about 20 minutes until firm. Take out, cool and beware of drool! Preheat your oven to 350°F. Combine flour, cinnamon, and ginger in a bowl and blend well. Add the eggs, squash, and molasses to the bowl and blend the mixture until it forms a ball of dough. I use a mixer, but you can also use a spatula, food processor, or your hands. Separate the dough into two balls. Place one ball of dough on a non-stick baking mat, piece of parchment paper or counter-top with some flour sprinkled over it to prevent sticking. Place a piece of parchment paper or other non-stick paper or mat over the ball of dough. Use a rolling pin to flatten the dough until it is about 1/4-inch thick. Use a cookie cutter to cut shapes out and place them on baking or cookie sheets. The biscuits don’t spread so no need to spread them out much across the baking sheets. Repeat until all the dough has been cut into biscuits. Bake the dough for 15 minutes, and then turn each biscuit over and bake for another 15 minutes. Cool and store sealed at room temperature for a month or so, or in the refrigerator for a few months. Holiday time is the time to discover new tastes – and what better way to explore than with cookies! Here are some of our favorites that we are sure you will love this holiday season!! For Gingerbread Dog Treats recipes click here! This is a slice-and-bake shortbread-like cookie with a hint of Earl Grey tea and lemon. It is a pretty simple cookie with only a few ingredients. We got this recipe from Janet @ The Taste Space. Try it and tell us what you think! 1. Whisk flour, tea, and salt in a small bowl; set aside. 2. Put butter, sugar, and zest in the bowl of an electric mixer fitted with the paddle attachment. Mix on medium speed until pale and fluffy, about 3 minutes. Reduce speed to low; gradually mix in flour mixture until just combined. 3. Divide dough in half. Transfer each half to a piece of parchment paper; shape into logs. Roll in parchment to 1 1/4 inches in diameter, pressing a ruler along edge of parchment at each turn to narrow the log and force out air. Transfer in parchment to paper towel tubes; freeze until firm, 1 hour. 4. Preheat oven to 350F. Cut logs into 1/4-inch-thick slices. Space 1 inch apart on baking sheets lined with parchment. 5. Bake cookies, rotating sheets halfway through,until edges are golden, 13 to 15 minutes. Let cool on sheets on wire racks. Cookies can be stored in airtight containers at room temperature up to 5 days. These pumpkin spice sugar cookies are filled with pumpkin pie spice. The frosting is filled with spices and pumpkin spice coffee creamer. We found this wonderful recipe at crazyforcrust.com! Preheat oven to 350°F. Line two cookie sheets with silpat liners or parchment paper. 2. Cream butter and sugar in the bowl of a stand mixer fitted with the paddle attachment. Beat in egg and extract. Mix in organic pumpkin pie spice, baking soda, cream of tartar, and salt. Slowly mix in flour. 3. Scoop 2 tablespoon balls of dough (use a cookie scoop if you have one) onto cookie sheets. 4. Bake for 9-10 minutes. Take them out just as you notice the bottoms start to turn golden (or right before). They’ll finish cooking as they cool. If they get too golden on the bottom before you remove them, they won’t be as pillowy and soft! 5. Cool 5 minutes before removing from cookie sheets. Place on a wire rack to cool completely before frosting. 6. Make the frosting: Beat butter until creamy with a hand or a stand mixer. Mix in salt. Slowly add in powdered sugar until mixture is crumbly. (It will be very crumbly if using a hand mixer, more smooth if using a stand mixer.) Add vanilla and 1 tablespoon creamer. Mix until the frosting comes together and becomes smooth, adding additional tablespoons of creamer as needed for consistency. Frost. Store at room temperature loosely covered. Frosting will semi-dry and cookies are stackable but some frosting may transfer. Enjoy! What’s great about this recipe is that it’s easy and cookies always turn out SOFT, which is pretty much a requirement for a good cookie! We found this recipe at lilluna.com and changed it a bit to use delicious Ceylon Cinnamon instead of regular cinnamon! 1. Mix together flour, cream of tartar, baking soda, and salt together. Set aside. 2. Cream together sugar and butter. Add eggs and blend well. 3. Add dry ingredients to wet ingredients and mix well. Shape dough into 1 inch balls and roll in the cinnamon-sugar mixture. 4. Place 2 inches apart on ungreased cookie sheet. Bake for 8-10 minutes at 350 degrees. Makes about 4 dozen cookies! Let us know how you like them!! Send us pictures and we will post them! Save Big This Shopping Weekend! Small Business Saturday Sale 11/25/2017! 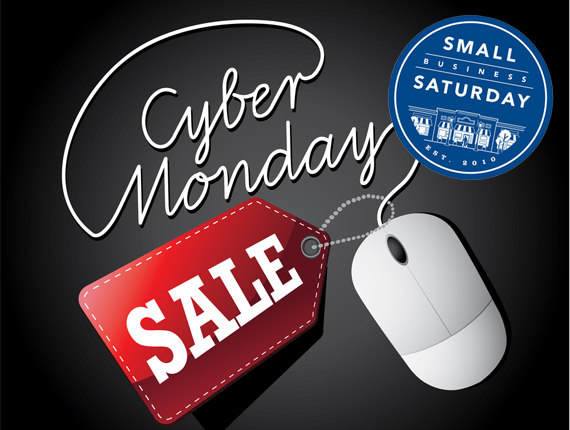 For Cyber Monday, we are offering a fantastic deal for all of our online customers! Just for Monday, November 27th, 2017 you can use coupon code CM2017 for 25% off your entire online purchase!! Come save with us this holiday season!! What does my stone do? Many people ask that. If you look on any crystal healing and metaphysical sites, you will see a huge amount of information that in the end, pretty much tells you that every crystal does everything. There are important things to note about crystals. They are little parts of our planet, with their own energy. Their energy will interact with your energy for unique results for each one of us. This is why some stones may feel really good for one person while others feel “off” for another. So with that said, what is the best way to know? Well – the fact is that forces in our planet have been hard at work for years creating these little gems! They were created by the fires of volcanoes, the layering over time of debris, water currents or even the extreme pressures of continental plates pushing against one another. These energies are tied into the matrix abd creation of each stone, so ultimately they are going to be dictating what energies that stone is aligned with. So the next time you want to know the energy of a stone, instead of heading to a metaphysical site, head to wikipedia and see how that little gem was created! So how did your stone come to life? What it underwater? Was it deep in the earth with intense pressure of a crater? Was it through a volcanic eruption? All of these things can give you a glimpse of the type of energy stored in each stone! Colors have an impact on the energy of a stone in that it vibrates at a certain frequency. So whatever energies are inside of that stone, that energy will be somewhat affected by the color frequency of that stone. Purple: Calming, stress relief, psychic ability. Another easy way to see what types of energy are in that stone is to look at what elements created them. If they were created deep in the earth through intense heat and pressure, the primary elements are earth and fire. If they were created near a water via hydrothermal energy, they contain water and fire. If they were created through erosion, they contain air and so on. Want to learn more? Visit us in Rock Hill or even sign up for our Gemstone Classes!